Analog Function Switch for JVC, Kenwood, Panasonic, Technics, Sony Device, SDIP28. 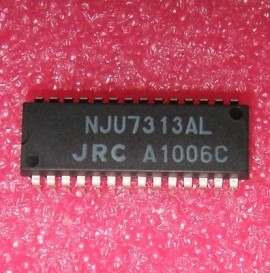 Cross Reference: NJU7313 NJU7313A NJU7313AM SOP28. 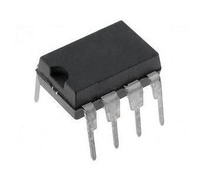 Infineon SMPS IC Current Mode Contr. 100kHz, DIP8, equivalent: 3B0365. 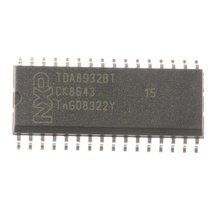 Monolithic High Voltage Gated Oscillator, Power Switching Regulator 120-150KHz 700V 0, 4A (Rectified AC Line Source Operation from 85V to 265V) DIP8. Cross Reference: NCP1053. 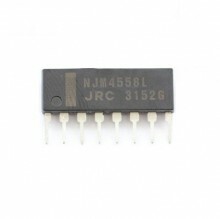 Dual Low Noise Operational Amplifier ±18V 10MHz SIP8, equivalent: BA4558N KIA4558S JCP02361 LA6458S LA6458SS LM4558 NJM4556 NJM4556AL NJM4558 NJM4558AL NJM4558D NJM4558L NJM4558LD NJM4559 NTE778S.